I received something of value from Feld Entertainment as part of the Insider Program. I was not required to write a positive review. The opinions I have expressed are my own. I love the circus. My fondest memories are of my parents taking me to Ringling Bros. and Barnum and Bailey for my birthday. It never failed to arrive in town for my birthday. 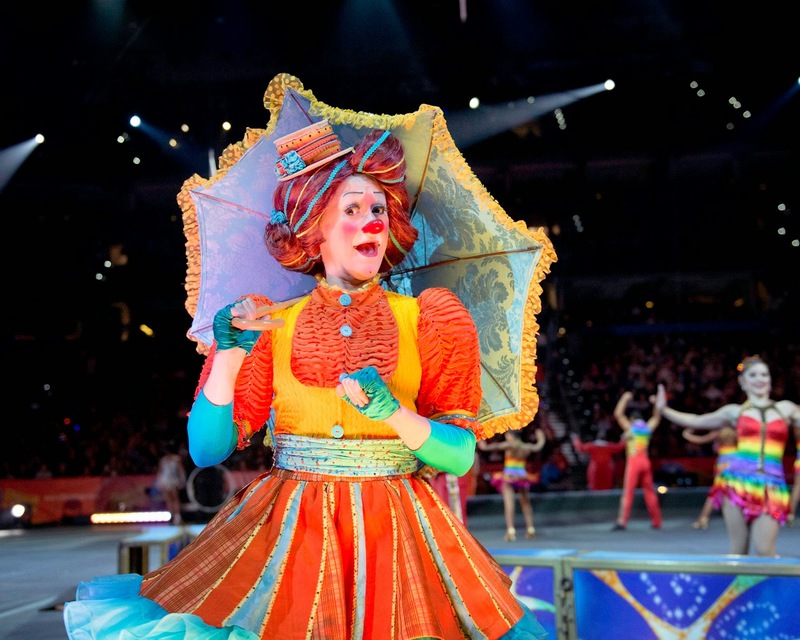 This year Ringling Bros. and Barnum & Bailey Legends will be coming to C-town October 22 - 26, 2014 at the Quickens Loan Arena, an early birthday gift to me and for the kids. And, a gift for one lucky winner! Enter to win at the end! The kids and I actually went this past April to the performance in Youngstown so we know what we will be seeing but that won't mean we enjoy it any less. The kids were amazed at the pre-show activities and marveled at the amazing acrobats and zany clowns. We truly enjoyed ourselves. One thing I love, even the years we don't go, is the parade of elephants down East 9th Street. Seeing them in person is a really amazing event but if you miss the parade down main street (so to speak) I highly recommend taking advantage of the free to all ticket holders the All Access Pre-show! At the All Access Pre-show learn juggling and balancing skills, meet the performers, get autographs, take photos, and enter to win a one-­of‐a‐kind Pachyderm Painting. The kids got pictures with some of the performers and we got to be ridiculously close to the action. It was worth going to and it is open to everyone with a ticket, an hour before the show. Besides the clowns and the animals, there are many acts, performed by talented individuals that defy logic and some are just deadly. Many of these acts kept us on the edges of our seats, gasping along with everyone else. are the protectors of the mythological Pegasus and Unicorn. These speeding daredevil Cossack riders display their strength and amazing dexterity as they perform intricate maneuvers, including a remarkable five-man high pyramid, while galloping at more than 25 miles per hour in a 46-foot-diameter, specially-designed ring. 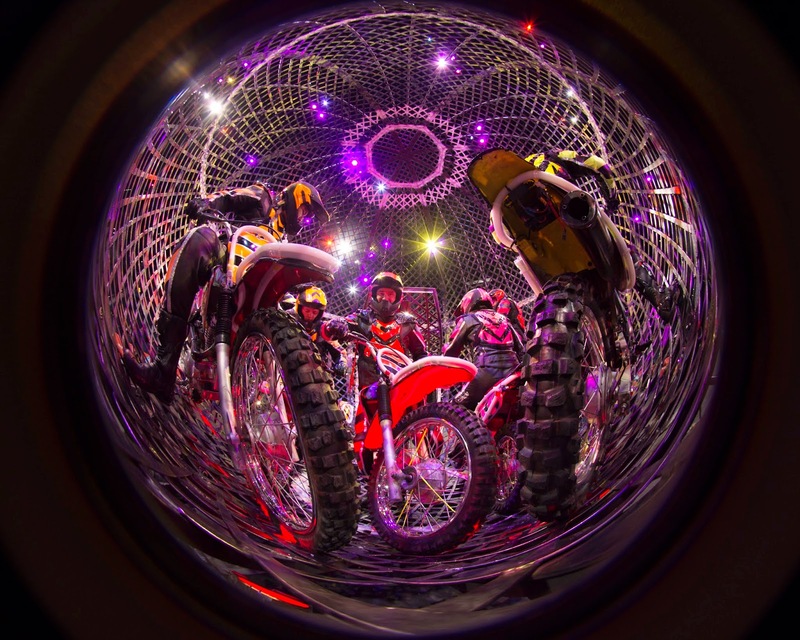 From Paraguay, the fearless Torres Family shatters records and dares to achieve the impossible by putting eight family members, including one female rider, on speeding motorcycles inside the Globe of Steel. Once locked inside the 16 foot globe, they will orbit at an unprecedented 65 Miles per hour with only six inches to spare between each rider, avoiding collision by relying on their rigorous accuracy and confidence in each other. My kids still talk about our day at the circus and pretend to be part of it. Can't wait to go back! Enter to win 4 tickets to opening night, October 22, 2014 via rafflecopter. Good luck!